We are pleased to announce the release of AutomateWoo version 2.9! We hope this new release will give you even more great tools to market and grow your store. This update introduces an exciting new workflow scheduling feature, WooCommerce Memberships integration, custom field support for both MailChimp and ActiveCampaign, new order line item triggers and more. 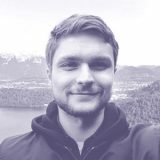 In addition, we have made performance improvements and added support for the many changes coming in the major WooCommerce 2.7 update. 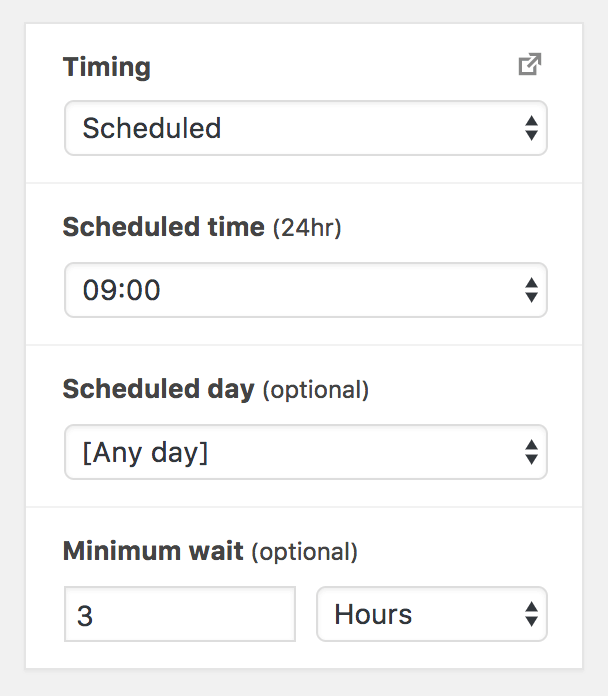 First up, is a shiny new workflow timing feature which gives you the ability to schedule your workflows for specific times and even specific days of the week. You may find that your customers will be more receptive to your marketing campaigns at certain times of the day. If so, this new feature is for you! Studies also suggest that it is better to send email on certain days of the week than others. According to CoSchedule, Tuesdays, Wednesdays and Thursdays are the top-ranking days to send out your email. With this new timing option, you will now be able to pick the precise time and day of week to market your products to your customers. To give you a head start on using this new feature, we’ve created new timing documentation as well. Some of you may already be using the fantastic WooCommerce Memberships plugin to provide your members with access to restricted content and special offers in your store. This update adds new triggers, actions and variables for use with the WooCommerce Membership system. With these new features, workflows can now be designed for new membership events, status changes, cancellations, expirations and more. The two new triggers available are Membership Created and Membership Status Changed. The first trigger will fire for each new membership created on your store, while the second trigger fires when a membership’s status changes. For example, if one of your customers change their membership from a free trial to an active membership or allow their membership to expire. As part of this integration we have added the actions Create/Change Membership Plan for User and Delete Membership for User. The former allows you to reward customers by upgrading their current membership plan or by gifting a new membership based on a trigger event. AutomateWoo will now automatically clean up its uniquely generated coupons shortly after they reach their expiry date. We hope this will reduce any clutter in the Coupon page of your WordPress admin area. This update adds two new actions to make it easier for you to update your lists in MailChimp and ActiveCampaign. For fans of MailChimp, AutomateWoo now provides the action MailChimp – Update List Contact Field so you can quickly add extra customer information to your MailChimp lists. If ActiveCampaign is more your style, the new action ActiveCampaign – Update Contact Custom Field is what you’ll be using. We’ve also introduced support for the Ultimate Member account signup process. This includes support for front-end registrations and the membership approval step. This functionality has automatically been added to the trigger New User Account Created. New rule – Order Item Categories – Target orders that contain products from specific categories. New rule – Guest Order Count – Restrict workflows based on the number of orders a guest has placed. New rule – Order Is Subscription Renewal? – Target orders that are subscription related. New action – Add/Update Customer Provided Note – Modify the customer provided note order field. New variable – order.reorder.url – Provides a URL which pre-fills the customer’s cart with the items from their previous order. New variable – order.customer_note – Displays the note the customer has provided for their order. New variable – comment.content – Displays the content of a product review. There are some relatively large changes to the codebase in this update, so please take note if you have dabbled in any custom development for AutomateWoo. These improvements were largely driven by the significant changes coming in WooCommerce 2.7. These have made it necessary for us to review every line of code and rethink some areas to maintain compatibility. In an effort to make things more manageable, the majority of the plugin has been namespaced and a number of old deprecated functions have been entirely removed. We have maintained backwards compatibility for custom triggers, rules, variables, action and many other aspects of the plugin that we thought other developers may be using. However, if you have created custom functionality for AutomateWoo, it’s obviously important to test the update in a staging environment before updating your live site. Performance has also been improved by the addition of new object caching system for AutomateWoo’s custom database tables and a more efficient method of loading triggers and actions. Minor updates are also available for AutomateWoo’s add-ons so please be sure to also update these when you update to AutomateWoo 2.9. This free update is available to everyone with an active license in the Plugins page of your WordPress admin area. You can also download it directly from your account page on our website. If your license key has expired, these new features can be in your hands in less than five minutes. Check out our pricing page or renew your license today! We hope to develop more great features for you in the coming months! In the meantime, let us know if you have any questions or queries about the new update or check out our documentation for more information. We appreciate your feedback and support as AutomateWoo continues to evolve.